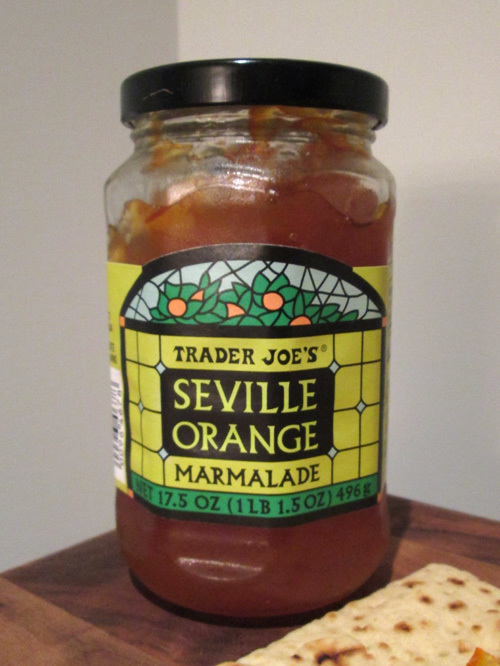 I'd never really had orange marmalade until a few years ago when I was in Morocco on vacation, where they seemed to serve it with every breakfast. So when I saw this, I was excited to try it out. Unfortunately, I hated just about everything about this. 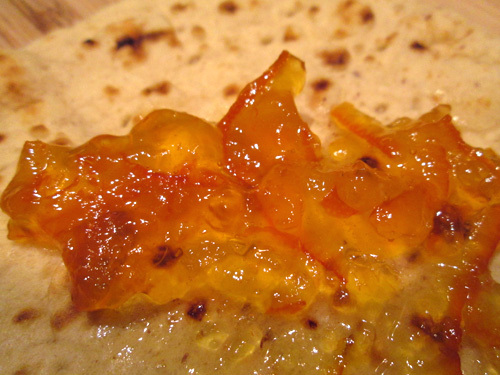 The consistency is very jelly-like and not easily spreadable, and there's pieces of orange peel in it which I found very strange. I could have gotten past this, but it was so overly bitter that it was basically inedible. 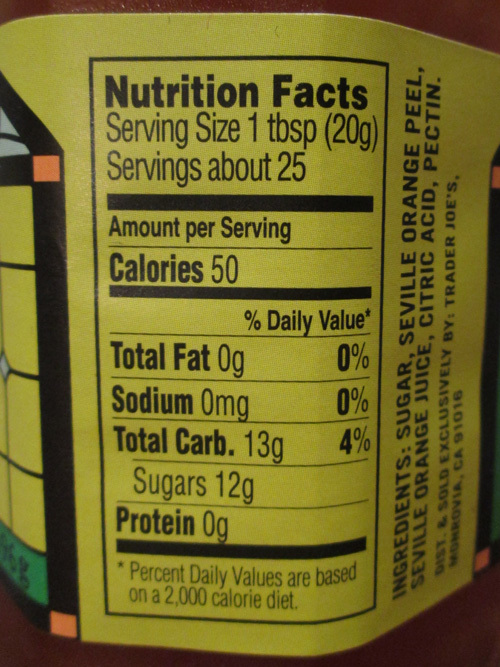 I did try mixing this with some goat cheese at one point and putting it on french toast with a little bit of syrup, but it still wasn't great. Maybe if you mix it with mascarpone to offset the bitterness it might work, but honestly it's probably a better idea to just not buy it.